The Art of Shaving Shaving Cream softens and lifts the beard for a close and comfortable shave, and protects the skin from irritation and razor burn. Rich with glycerin, coconut oil and essential oils, the Shaving Cream leaves your skin smooth and moisturized. It can be lathered up with a Shaving Brush or with fingers. The Art of Shaving products are Aromatherapy-based , scented with 100% pure essential oils selected for their therapeutic skin properties and specifically blended for a variety of skin types. For best results, shave while or after showering. Using hot water, lather up The Art of Shaving Shaving Cream with a Shaving Brush or fingers and shave with the grain, following the growth direction of whiskers. For an even closer shave, repeat lathering process and shave lightly against or across the grain. 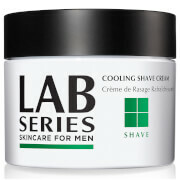 Rinse with cold water, pat dry and apply After-Shave Balm or Gel. Use hot water with Shaving Cream to soften hair, open pores and cleanse. For an unctuous lather, use with a badger Shaving Brush. For best results and a very comfortable shave, place lather in center of brush and let it sit for five seconds in hot water to warm up the lather before shaving. For a close shave, lather onto skin in an upwards motion so as to cause whiskers to lift away from face and neck. Always shave with the grain first, then lightly across or against the grain for a closer shave. Applying too much pressure when shaving against the grain can cause ingrown hairs, and red marks or patches to appear on face or neck. Stay away from products that contain numbing agents such as Benzocaine or Menthol as these will tighten pores and stiffen beard. My wife bought me a set of "The Art of Shaving" ,products for my last birthday, w hen we were in the States last year. The shaving cream may not be as inexpensive as a lot of its rivals but I am impressed by what good value it has been. I decided to reinvest for the quality of the product and the good value. I look forward to many years of shaving enjoyment with "The Art of Shaving". Good but not great for shaving brush use. The shaving cream is literally a cream which is not easy to use with a shaving brush. Better to apply with your hand but I bought the product for use with a shaving brush. A good shave but costs too much as I would prefer to use a hard shaving cream and let my shaving brush do the work. My husband loves this!! He doesn't even need after shave because the fragrance is so awesome. People compliment him all the time. If you need to get someone a "special" present, I highly recommend, but beware they will want a refill!!! My boyfriend is an Art of Shaving freak thanks to me! He literally owns the whole collection and I've been able to use it all. I really love the Sandalwood fragrance in this shaving cream, especially in the winter! It's very moisturizing and it helps the razor get really close to the root! I love how smooth my legs are and how smooth his face is. Great scent choice for manly men in your life! 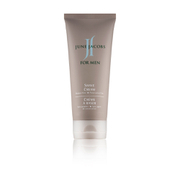 This shaving cream is very easy to applied and give great laver. Nice fragrance to it and very easy to clean up. I recommend the product to every one. Best Shaving Cream on the Market! I accidentally found TAOS about five years ago. I am a bald man who shaves my head and face every other day. I use TAOS sandalwood shaving cream, along with a silvertip badger hair brush and sandalwood pre shave oil as well as the aftershave balm...all excellent products. Since Ive started using this shaving cream (which one tub lasts about 6 months and for only $22....costs less than the normal kind you get in the store when you average how many cans it takes to last six months) I use about a nickel size amount on my brush and it covers my face, head and neck with a thick lather and leaves plenty on the brush for even a second person to shave (my wife has used it on her legs (the same lather i use from the nickel size amount) after i shave my head and face. I have tried 3 other brands that allegedly compare to TAOS.....WRONG! this is the best, anthony logistics doesnt compare. no one compares. spend the money. get the whole shaving kit, no razor burns, smells great, soft skin. try it, youll fall in love with it too! My son was very happy with this gift. He uses these products all the time. I liked that I was able to get them at a bit of a savings. The Art of Shaving line, like Molton Brown, offers some very elegant, high-end luxury bath products for men in the English style. Their shaving creams are very nice and have that classic consistency, weight and feel that we used to get in barber shops out of the hot shaving cream dispenser -- except this stuff is not hot of course. The Sandalwood scent has a pleasant, not overpowering, woody, musky masculine scent without smelling too much like traditional cologne- or after-shave-scented men's products. It is understated and quite elegant and will not overpower a favorite after-shave or cologne. This stuff gives a great shave, especially if applied by brush, and their smaller sizes are great for air travel as they are within FAA-required fluid size. The only draw-back to the Art of Shaving is the price -- it is a little dear, so that makes it a better choice as a gift.